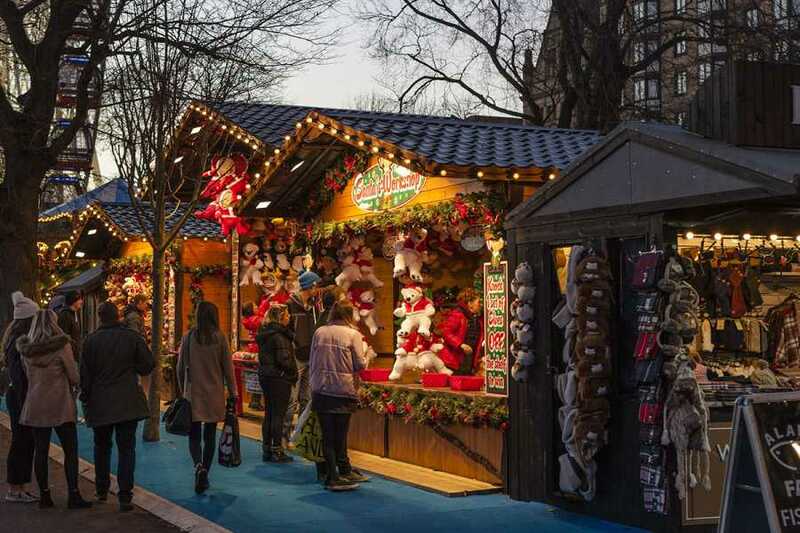 Combine the best of city centre shopping in Bristol with a visit to the traditional Christmas market in nearby Bath - or just enjoy the festive atmosphere, while staying at the Mercure Bristol North The Grange Hotel. Sunday – Visit Clarks Shopping Village at Street en route to the hotel . With over 90 stores to choose from, Clarks Village offers a wide choice of fashion, homeware, outdoor and sportswear, plus great gift ideas .There are designer labels and famous names from the high street. Brands currently include Crew Clothing, Monsoon, Coast, Fat Face, Whistles, Jaeger, Timberland, Joules, as well as firm favourites like M&S, Next, Gap Clarks and Nike. So if you adore great brands, but hate high street prices, you'll just love Clarks Village. Monday –This morning we leave for Bath and the whole day is free for you to explore the traditional Christmas Market in this fascinating historic city. This ever expanding market sells high quality Christmas goods from festive food and drink to hand crafted gifts, with over 80% of the stallholders coming from the South West region.. Carol singers and street entertainers add to the festive atmosphere. Tuesday – Today it’s Bristol, where the Christmas Markets stretch from the Harbourside all the way to the pedestrianised area of Broadmead in Bristols Shopping Quarter. Shop for unique gifts and original homemade crafts, and explore the covered Food Village, where you will find all manner of treats, from authentic German bratwursts and schnitzel to a Yorkshire Pudding Wrap! All coach travel - 2 nights dinner, bed & English breakfast Excursions as stated. The Grange Hotel is a former manor house, this comfortable and stylish 4 * hotel is situated approx. 10 miles from Bristol city centre in 18 acres of landscaped gardens. It boasts an AA rosette restaurant, bar and lounge. There is no lift but the hotel has some ground floor rooms. All bedrooms are en suite, with air conditioning, HD TV, free Wi-Fi, hairdryer and tea/coffee making facilities.